Techies Sphere: How to set auto deletion of emails under "Deleted items" folder in Outlook 2016? 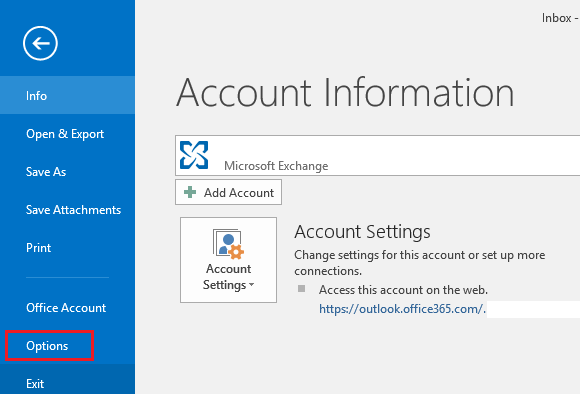 How to set auto deletion of emails under "Deleted items" folder in Outlook 2016? Or, Setting Empty Deleted item folders when exiting Outlook. Or, How to set auto cleanup of "Deleted items" folder in Outlook 2016? Or, Empty deleted items folders when exiting Outlook. 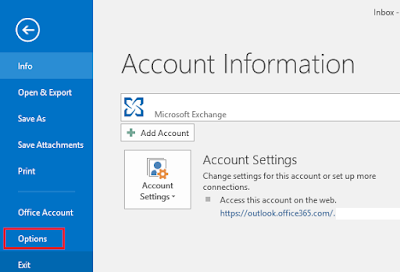 Descriptions: Its always cool to have this feature enabled in Outlook. My personal experience is, I never wanted to delete those emails again which I have already deleted from my inbox. To avoid this rework and save my time, I use to shift+delete the emails I don't want to keep in my mailbox but this became pain sometime when unknowingly I have selected any other useful emails and pressed Shift+Delete :(, So, in this case I prefer to only press delete button for any emails instead of pressing Shift+Delete. Now just to avoid this situation and make sure things are being done accurately, I have set this option in my outlook and YES, I am happy. You can try this if this is suitable for you. 3. Go to Advance > Enable check mark on "Empty deleted items folders when exiting Outlook".